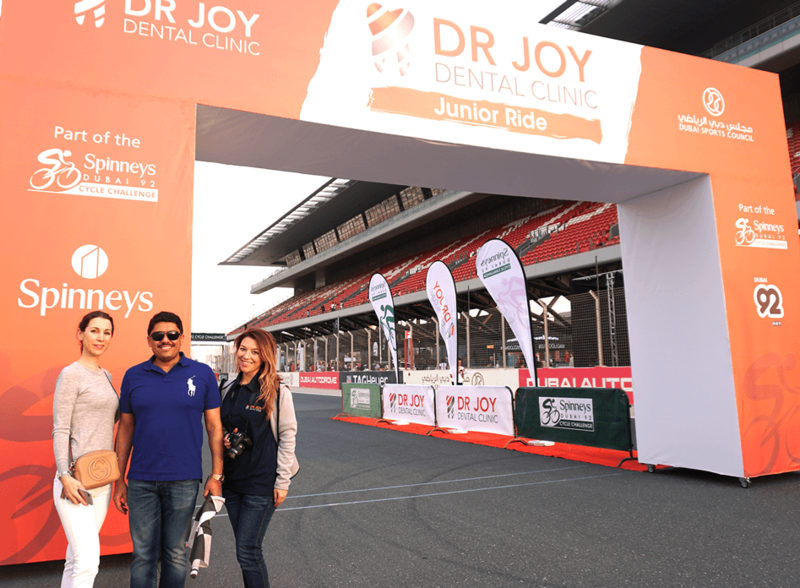 Dr. Joy Antony, our Managing Director and Specialist Orthodontist, welcomed the junior racers at the Spinneys Dubai 92 Junior Rides event at Dubai Autodrome. 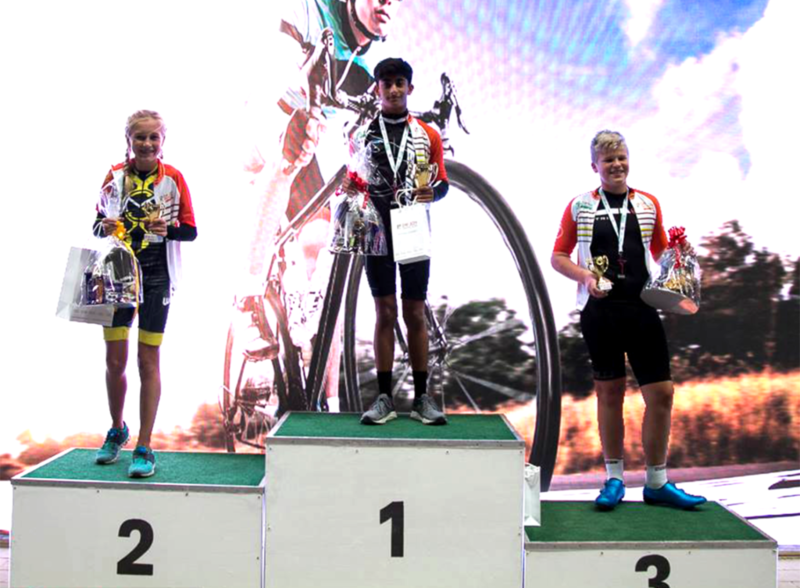 The participants consisted of kids between the ages of 6 to 15 years. 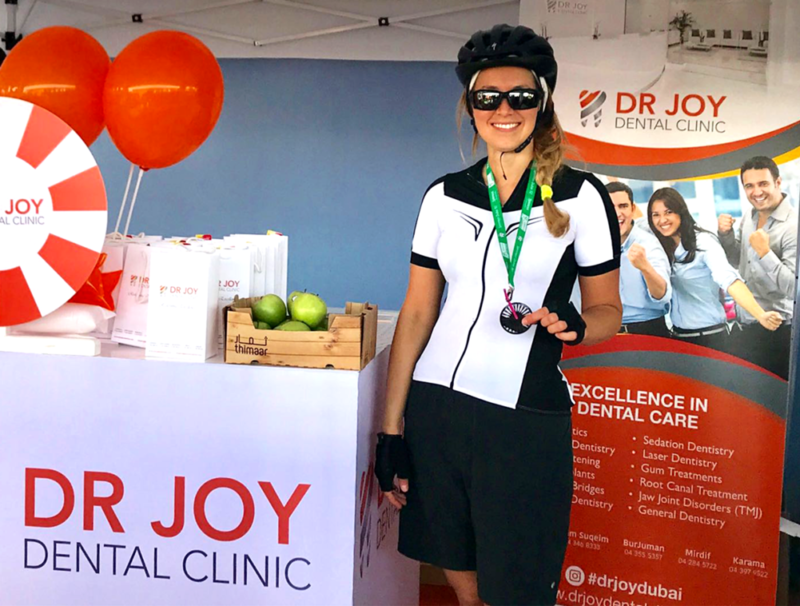 Dr. Joy raised and waved the race flag in honor of commencing the cycling challenge. 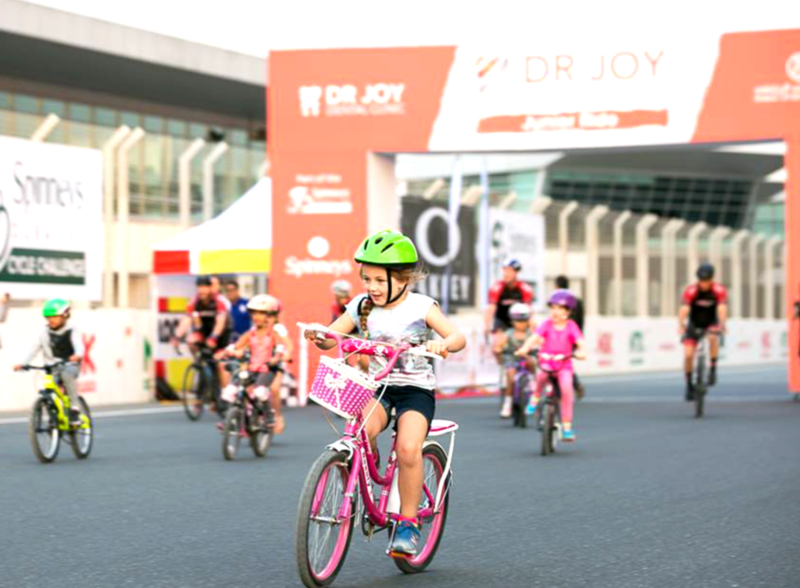 The races were divided into 3 groups that included children ranging between 6-8 years, 9-11 years and 12-15 years. After each race, the winner was announced and Dr. Joy presented them with an award. Previous post: What is Gum Disease?